Current research has revealed somewhere around 65 examples surviving, which is more of an solid to low R5 than a high R5. 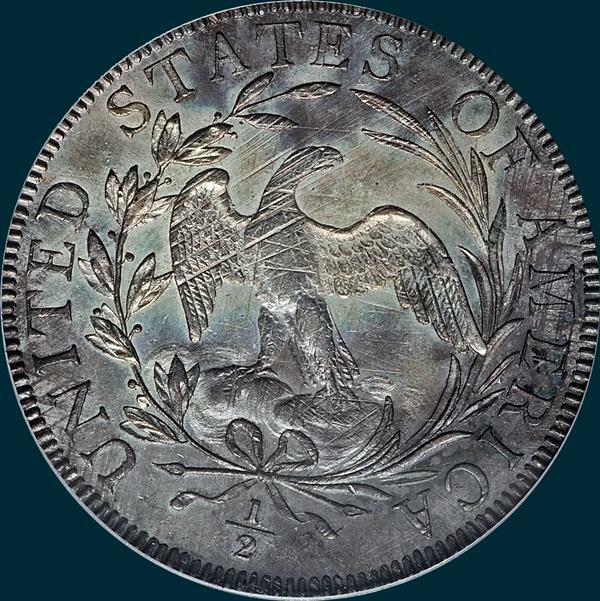 There are also a small amount with obverse die cracks which is listed as an R7?. 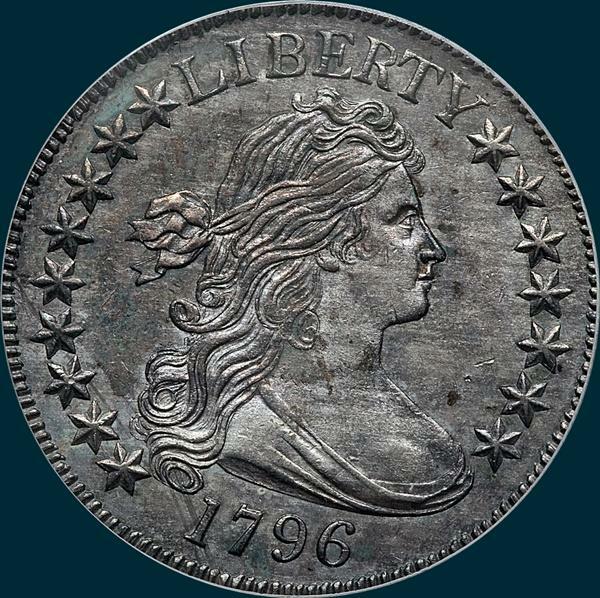 Variety Attribution O-102: Obverse-16 stars, 9 on left, 7 right. Large date set rather high. Broad six pointed stars with short points.Most specimens show a heavy die crack from milling between date and star 1, that joins the first four stars then out to milling. O-102a: Circular die crack from the front of bust, through star 14 to edge. O-102: Reverse-Fraction 1/2 well centered below ribbon knot. 10 berries on laurel branch. A leaf is close to lower left serif of second T in STATES but does not touch. A palm leaf close below base of F extends halfway between OF. Small die defects at lower left base of C and above inside curve. O-102a: Circular crack that runs from tip of palm leaf at base of F, through right side of O to segment of milling.